Chanmyay Yeiktha Meditation Centre (Singapore) has been officially formed under the approval of Registry Of Society on 17th May 2011. The following management committee establishes the society according to last AGM 2015. The aim of the society is to conduct Vipassana discourses annually as well as to perform various religious activities under the guidance of our Venerable Chanmyay Sayadaw. The main aims are as follows. 1. To create a meditation center for the yogis to practice meditation any day whole year round. 2. 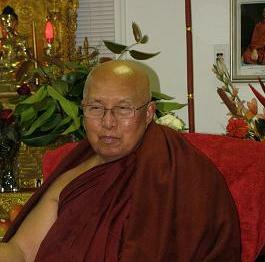 To have residing Sayadaws who can teach Vipassana meditation in English, Burmese and Chinese. 3. To conduct teaching sessions on Buddhism, Burmese tradition and Culture, and Myanmar language to overseas Myanmar children. We have rented a place at Choa Chu Kang Estate, 103 Verde View. 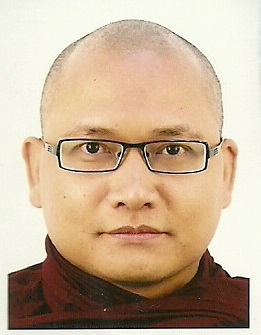 Chanmyay Sayadaw delegates Sayadaw U Sobita as a resident monk. Occasionally, another Sayadaw who is well versed in English and Chinese will be invited as well to spend time at the centre. To achieve the above aims, we working committee members cordially invite donors who can contribute financially in one-time or monthly donations for setting up and maintaining of the centre. Volunteers are most welcome and we would like to extend our invitation to join us as associate member. Your generous contribution is greatly appreciated. Please donate at the centre. We would like to invite devotees to join as associate member. Membership form is attached. Please fill up the form and post to centre address. Membership form can be downloaded from here.